After Woodland Cemetery, Christi and I headed northeast for Marshalltown. Our primary goal was to visit a dear friend of her late mother’s who lives there. But I knew that we’d be stopping by a few cemeteries as well. Henry Anson, whose statue is in front of the Marshall County courthouse, is thought to be the first white settler in what is now called Marshalltown. He donated the land that the courthouse sits on. 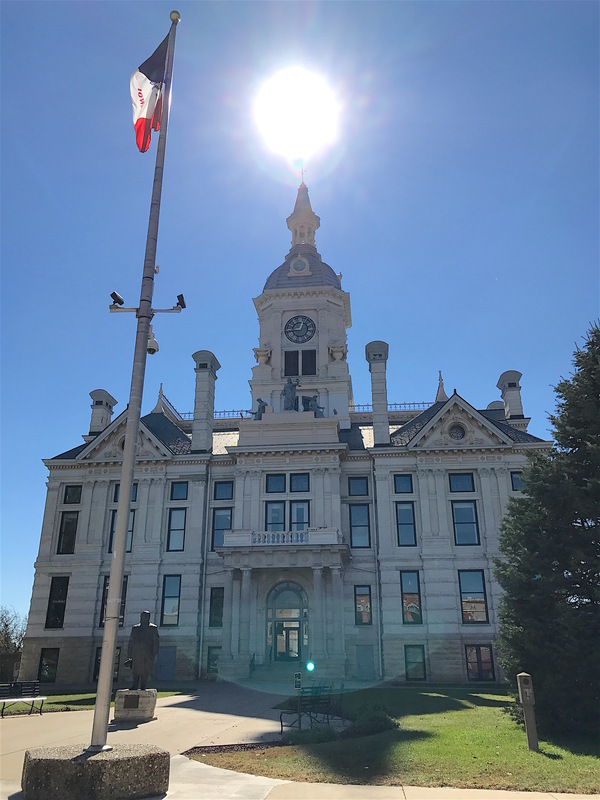 In April 1851, Anson described Marshalltown as “the prettiest place in Iowa.” Having seen the picturesque downtown, I can say that it is certainly one of them. Including his time in the National Association, Adrian “Cap” Anson played a record 27 consecutive seasons. Anson’s son, Adrian Constantine “Cap” Anson, was a favorite son of Marshalltown, having made a name for himself as a Major League Baseball player. Cap spent most of his career with the Chicago Cubs (then known as the “White Stockings” and later the “Colts”), serving as the club’s manager, first baseman and later, minority owner. 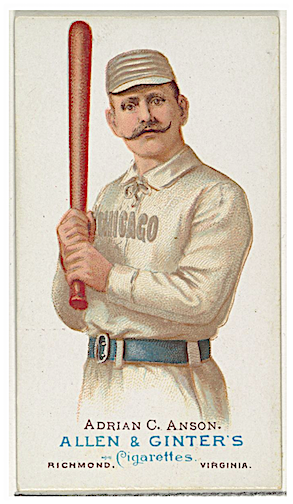 He led the team to five National League pennants in the 1880s. While writing this post, I was saddened to learn that on July 19, 2018, an EF-3 tornado roared through Marshalltown. This was about 10 months after my visit. Fortunately, there were no deaths. But a preliminary count of homes showed 89 destroyed; 525 with major damage; 94 with minor damage; and 54 classified as affected. Seven businesses were destroyed and four received major damage. It will take a long time to rebuild what was lost. But this town of about 26,000 is already on its way back, working hard to make repairs and put things right. Henry Anson’s statue is behind the flagpole. An EF-3 tornado that roared through town on July 19, 2018 tore off part of the cupola above the clock and damaged the roof. Before meeting Jacqueline for lunch, we headed to Riverside Cemetery. I didn’t know much about it but there were a few graves I wanted to photograph. Riverside was the vision of two men, Presbyterian minister Rev. 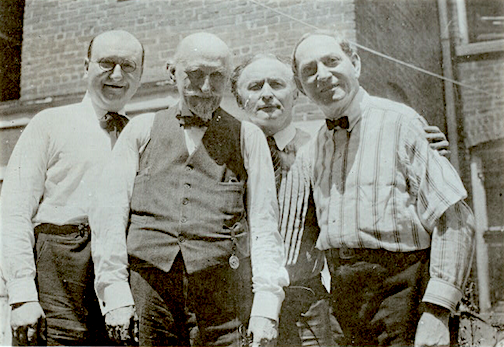 Louis DeLos and Dr. George Glick. After incorporating as the Marshall Cemetery Association in April 1863, the board purchased a little over 13 acres acres from Rueben Webster for the purpose of creating a cemetery. It has expanded since then to its present 95 acres. According to Find a Grave, there are close to 25,000 burials recorded. 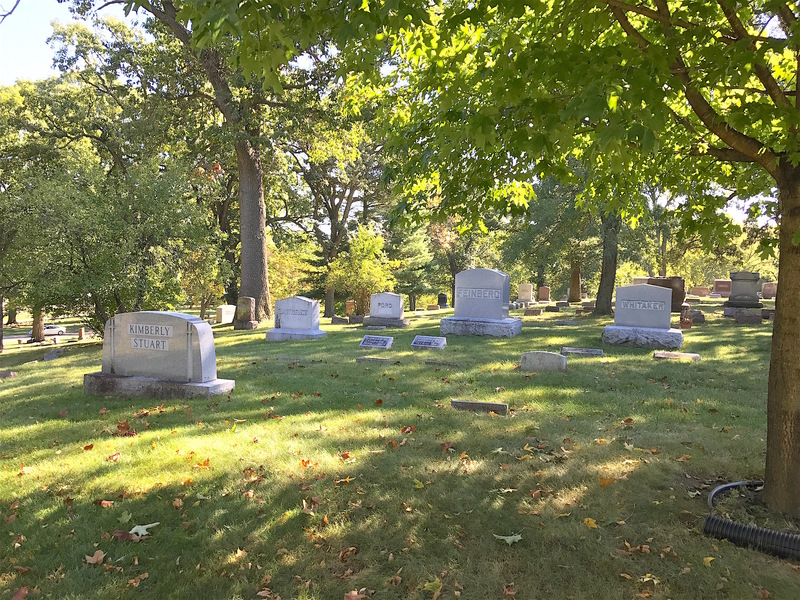 The St. Mary’s Cemetery Association purchased land east of what is now Lake Woodmere (in front of the cemetery office) and established a church cemetery, currently maintained by the Marshall Cemetery Association as a Catholic cemetery. The Congregation of the Sons of Israel also has their burial grounds within the perimeter of Riverside. In addition, the Volunteer Firemen of Marshall County, the Elks Lodge, and the Masonic Lodge have separate burial grounds for their members. 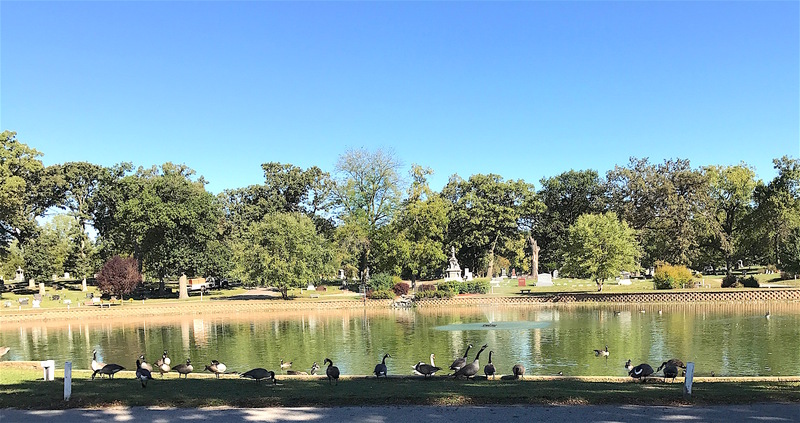 Canada geese love Lake Woodmere at Riverside Cemetery. I don’t always stop in at a cemetery’s office because I don’t like bothering people who have work to do. But the folks at Riverside treated me like a welcome guest when I walked in. They pulled out files on the person I was looking for and suggested visiting the grave of another interesting person I hadn’t even heard of. If you check their Facebook page, they are always adding new stories about people buried at Riverside. I greatly appreciate Riverside’s staff for going the extra mile to share the rich history of their town and helping me in my research. 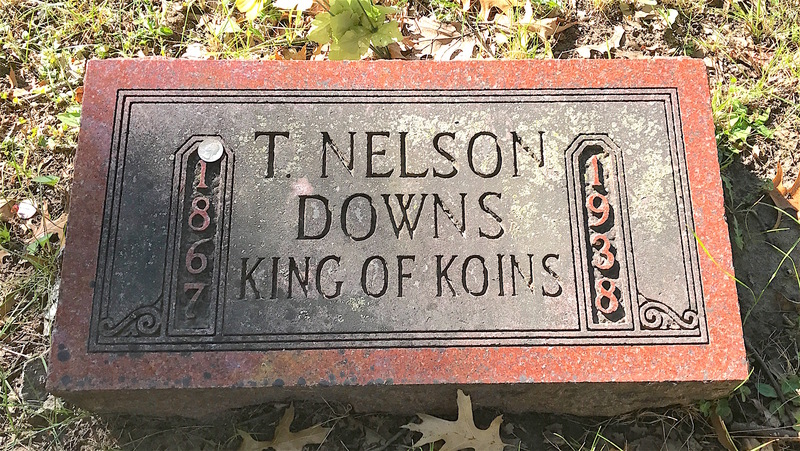 The most famous person buried at Riverside Cemetery is someone you have likely never heard of — magician Tommy Nelson “King of Koins” Downs. While unknown now, he had quite a following in his time. Downs was born in Marshalltown in 1867 to teachers Thomas and Cordelia Downs, his father dying when he was only six months old. As a boy, he taught himself card and coin tricks. His first wife, Nellie Stone Downs, died in 1895, just a year after giving birth to their son, Raymond. That same year, after working for the telegraph company much of his life, he decided to perform in vaudeville full time. A few years in, he decided to concentrate solely on coin tricks. So who looked after little Raymond while Downs was on the road? The 1900 Census shows him living in the household of none other than town founder, Henry Anson. Raymond is listed as his grandson but I don’t know if Nellie or Downs was actually related to him. According to a Des Moines Register article, Raymond said he was raised by housekeepers, had a distant relationship with his father, and that he personally had no interest in magic. Downs soon became a sought after performer on the American vaudeville circuit, including Tony Pastor’s New York theater. 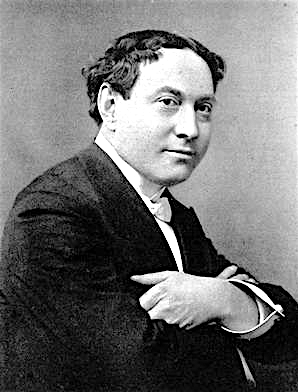 He performed 26 consecutive weeks at London’s Palace Theater and 40 weeks at the Empire Theater, along with many performances at the Follies Bergere in Paris. King Edward VII, Germany’s Kaiser Wilhelm and Sultan Abdul Hamid of Turkey were entertained by Downs as well. 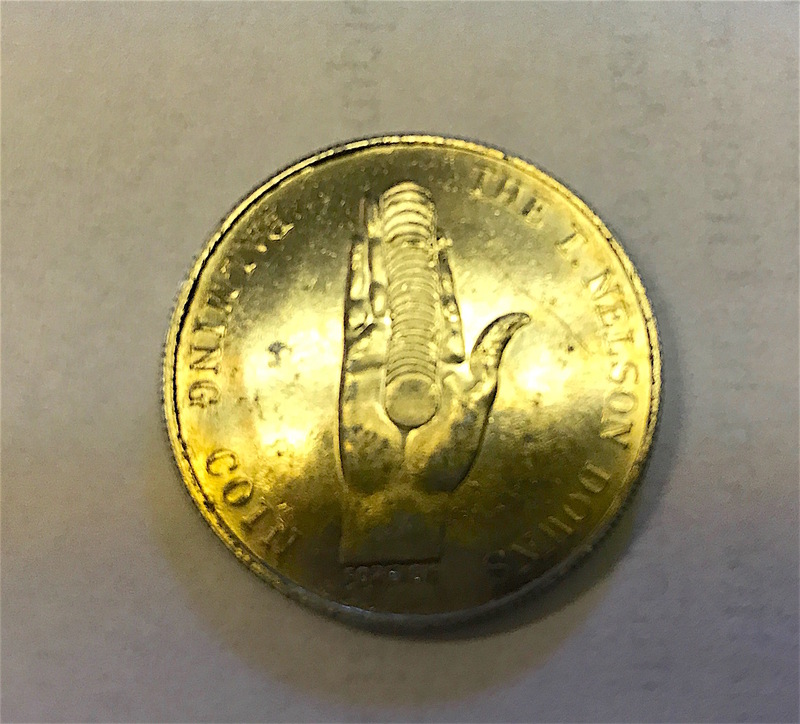 This was one of T. Nelson Downs’ palming coins that he used in his act. The staff at Riverside Cemetery kindly let me photograph it. Downs’ skill at manipulating coins was just about impossible to imitate. Watching this old home movie of him in later years illustrates that. While performing his tricks, he could palm up to 60 coins at a time. One of his most famous tricks was “The Miser’s Dream”, in which he seemed to pull countless coins out of the thin air. 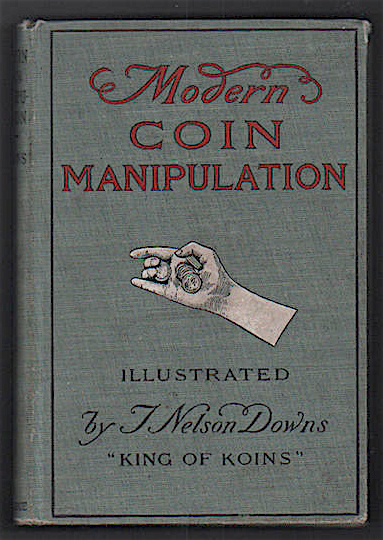 His 1900 book “Modern Coin Manipulation” is still in print today. In 1912, Downs decided to retire to Marshalltown with his second wife wife, Harriet Rockey Downs. Downs opened a vaudeville house on Main Street, where he also sold a line of magic equipment. Many visitors, especially other magicians, arrived at his home to share gossip and the latest tricks. 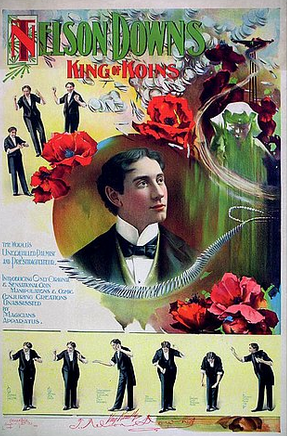 Downs was well acquainted with fellow magician Harry Houdini and they shared the stage on occasion. Some articles I read said they had an intense rivalry while others said they were close friends. I tend to think it was a rather benign rivalry amid a warm friendship. Downs’ career took off before Houdini’s and he advised him to head to Europe as he had done to boost his career, and Houdini did just that. Houdini’s widow came to visit Downs near the end of his life as well. It’s not surprising that someone left a quarter on Downs’ gravestone. In the last two years of his life, Downs was confined to his bed. He died in 1938 and Harriet died in 1955. His great-grand nephew, Jim Downs, lives in Marshalltown today. He owns a large collection of Downs’ papers, books, and other personal items that he enjoys showing others so they can learn about the King of Koins. Next week, I’ll have more memorable Marshalltown profiles to share, including a World War I flying ace and a MLB team owner.